RETIRE IN STYLE BLOG: Reinvention #2: The Red Suitcase the Movie project...taking the past with you! 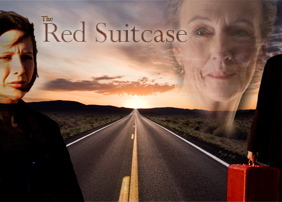 Reinvention #2: The Red Suitcase the Movie project...taking the past with you! 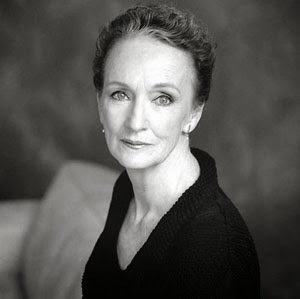 The movie will star Broadway stage actress, Kathleen Chalfant and White who has also worked on Broadway. Sometime during the month of October, White and her husband will be starting a crowdsourcing campaign with Indiegogo to raise funds for completion of the film. I was given an opportunity to talk with White a few days ago. Have you ever thought about the perfect symbolic container for your past? What size would it be? What would you fill it with? If you left the suitcase behind, could you move into the future easier? Those questions were the ones that came to mind when I first discovered The Red Suitcase project. Ruth agrees, but not without reluctance, as she tacitly carries with her a red suitcase full of her estranged husband’s clothes. In a beat-up station wagon filled to the brim, Ruth and Liz begin an odyssey across America. Full of humorous adventures, colorful characters and dramatic revelations, the trip continually tests Ruth’s wavering resolve to start a new life. Through this journey, and the complex and unbreakable bond with her daughter, Ruth finds the strength to let go of the past and face the future, proving it is never too late. I was surprised by the email from White telling me that she and her husband had decided to crowdsource the film and would be going full tilt before long.I could only imagine how exciting it would be to actually see the story come alive. In fact, I had been thinking about it just a few days earlier. It was almost magic to hear from her. White told me in the email that we could visit over the phone, an offer I accepted immediately. I had been following the progress of her project for a long time. Not only was I curious; I was also flattered that she would take the time to talk with me. We chatted about her life and the fact that she was returning to college with a grant so she could get her MFA in Creative Writing at UC Riverside. We also touched on her life in a community of creative people in Pasadena, CA. But the burning question that was in my mind was What did her mother think about a film based on her life? Wasn't that something that her mother would somehow find a little frightening? What did her mother think? White told me that she had asked for her mother's permission to make the movie. "That is fine Dana" her mother said, "but I don't think we are very interesting." She was reassured when White told her that it would be loosely based on her life. "Trust me" White answered, "I will make us very interesting." I have seen the trailer for this film and was even allowed to see a private YouTube clip of a reading of the script for a group of possible supporters. This is not going to be boring...trust me. Dana White has written a beautiful, funny and compelling story. So why does this interest me so much? The fact is, I have known women that have gone through this very thing. Some have moved on, some have followed a child to make a life with them and some have simply fallen through the cracks. Many times success or failure was not related to making the right decisions. Life has a way of doing that to women left alone late in life. Movies about our aging population are becoming more and more mainstream these days so I think this one has a very good chance of succeeding. I like that and I find it fascinating. As I understand it, donors will be giving a symbolic gift in appreciation for their support. I want to be a part of this...and I thought the idea for the token gift was a stroke of genius. Stay tuned. I will keep you posted. Be sure to visit the website link for the movie I gave you at the top of the article. When the Indiegogo project comes to life, you will be the first to hear about it...here. Oh, and if you aren't a follower, add your name to the list at the right. Tweet, Facebook or Google me. It all helps! Reinvention: Making a movie called "The Red Suitcase" This is a blog post about the connection between The Red Suitcase, The Movie and The Best Marigold Hotel Project. Thanks for sharing this as it sounds like a very interesting story. Sounds interesting, a little bit like the latest Woody Allen movie "Blue Jasmine". Anyway, the suitcase symbolizing my past? A big old beaten-up dufflebag. Thank you for stopping by...I love the process that creativity requires of people blessed with that talent. The making of the movie is a story in and of itself. Tom...a duffle bag works for me too. My past is not round or square...it needs a flexible container. It sounds a wonderful movie...one that I would definitely see! I followed my daughters and grandchildren to Australia from New Zealand. My suitcase is a beaten up brown leather one filled with photographic memories from the past. This sounds fascinating. Looking forward to following the process and seeing the movie. Thanks for sharing! Oh, another movie to watch. Goodie! Thanks for the overview.